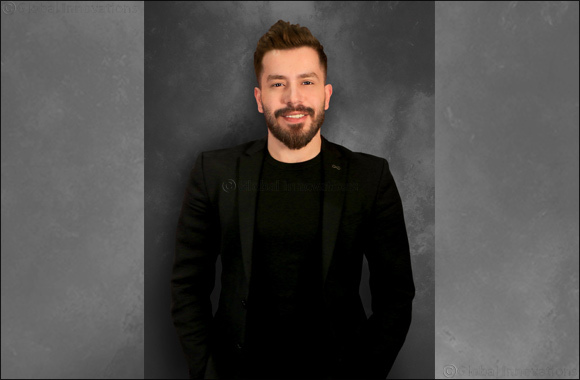 Dubai, UAE, March 25, 2018: Pinky Goat, the multi-award winning professional eye brand, have appointed Ahmad Amine as their new Creative Director. With a successful and blooming career within the makeup and beauty industry, Ahmad is a firm favourite amongst a growing list of celebrities in the Middle East and internationally. With a loyal following of over 150K people on Instagram, Ahmad Amine is a perfectionist when it comes to artisty – no face goes undone, unblended and unnoticed! Having previously worked with MAC Cosmetics, Maison Zuhaif Murad and the talented Samer Khouzami, Ahmad also opened his own Beauty Studio in Beirut – he is definately a force to be reckoned with in the makeup world! A true fan of Pinky Goat’s products and brand ethos, Amine has been creating wonderful looks with their products ever since Pinky Goat was first launched. “Pinky Goat offers an exciting environment where there are no limits for my creativity. I feel the brand’s vision and personality is completely aligned with my own and I am incredibly thrilled to join such an inspiring team”, commented Ahmad. Maha Morley-Kirk, Pinky Goat’s CEO & Co-Founder was equally excited about Ahmad’s appointment – “We have worked with Ahmad since 2015 on many different campaigns and events so it was a natural next step to make him part of our creative team. Ahmad understands both the values of Pinky Goat and shares our exciting vision for the future” commented Maha.